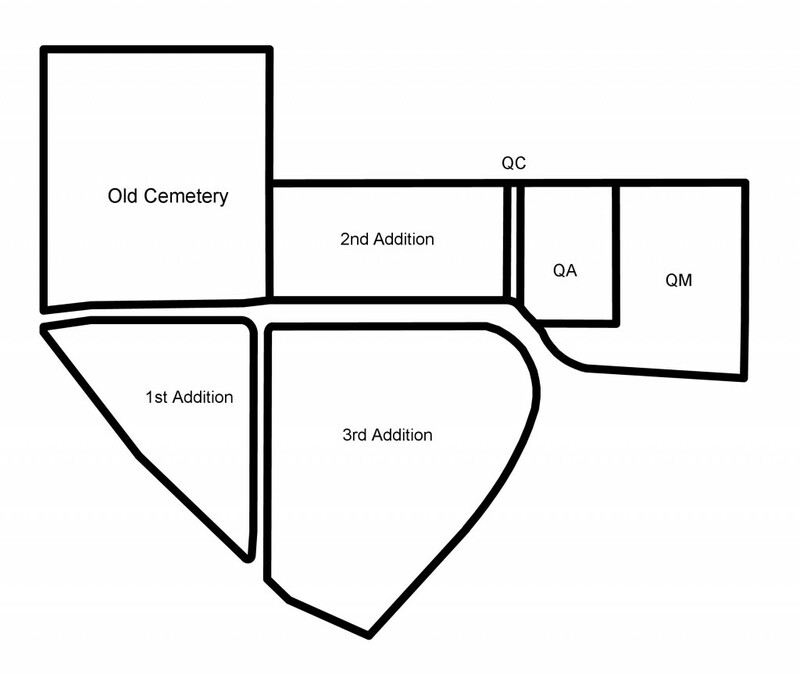 1st, 2nd and 3rd Addition: Plots that were added upon the Oak Grove Cemetery through the years as the cemetery expanded. Quercus Ashes (QA) 4X4 Ash Gardens: Up to 6 burials and maximum 2 markers. Columbarium: For the use of Cremated Remains in private niches. Quercus Cremains (QC) 2X2 Ash Gardens: For the burial of two remains at an affordable price. Quercus Monuments (QM) Upright Memorial: Burial section for the option of purchasing upright monuments. Interactive Map: This map outlines all the sections, and the blocks in each section. Click on the arrow on the left to see more options to view the map if not already present.